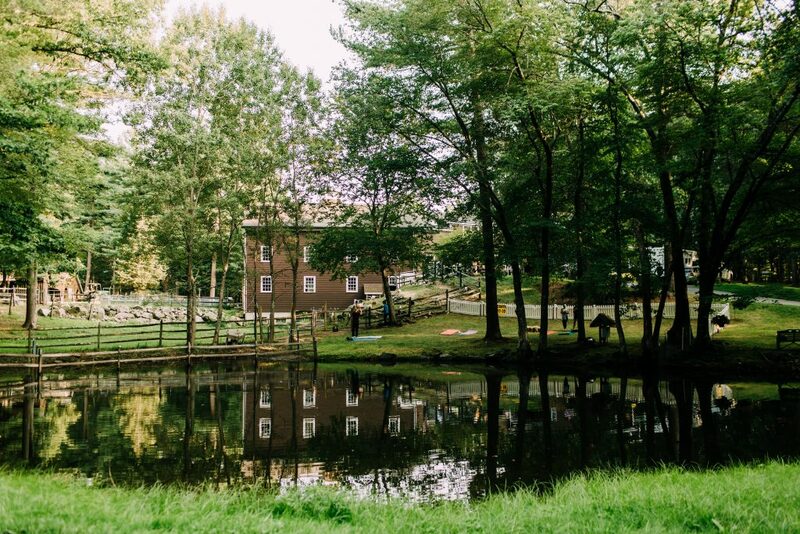 Our classes are held on our beautiful 50+ acre farm, Great Rock Farm, in Georgetown, MA. 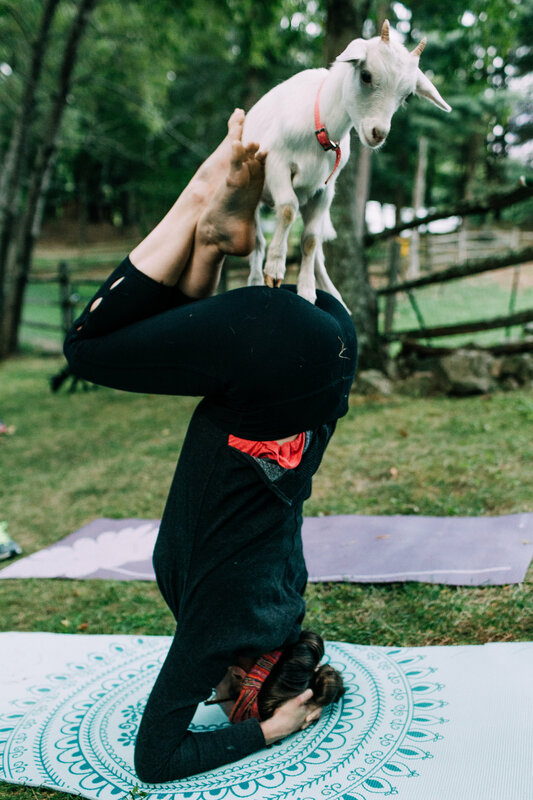 We want you to get the full affect of a true farm-yard goat yoga and snuggle experience by partaking in these events with farm animal sounds and smells all around you. Plus the kids are most comfortable when they invite you into their own surroundings. The majority of the classes are held overlook the water on a stunning grassed area with a white picket fence and flowers. And our rain location is just as remarkable: a rustic and clean 5-story post and beam barn with hardwood floors. GOAT YOGA: Practice yoga accompanied by our baby fainting goat kids. 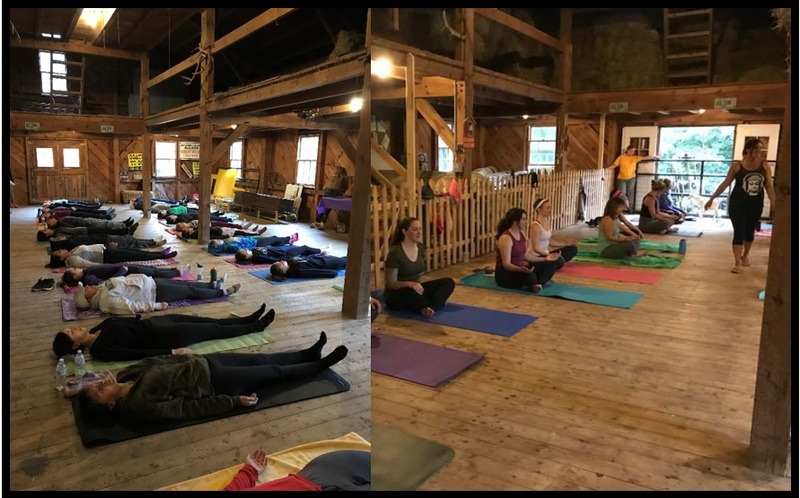 The class is sequenced for all levels of yoga and focuses on deepening the human connection to nature, nurturing communication with animals in a gorgeous setting with some spectacularly fluffy and sweet assistants. Appropriate for ages 12+ yrs old, (ages 3-11 with prior approval), the session includes 45 minutes of gentle yoga while the goats interact with you, and a 15 min cool down seated poses while you continue to hold, pat, snap pictures, and feed goat treats. 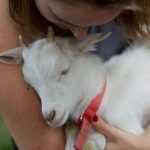 GOAT SNUGGLE: Not into yoga but still want to come visit, interact, and learn about the baby goats? We will continue to offer our popular event called “Seated Goat Snuggle.” It’s a 1 hour session, for those over 12+ yrs of age (ages 3-11 with prior approval). 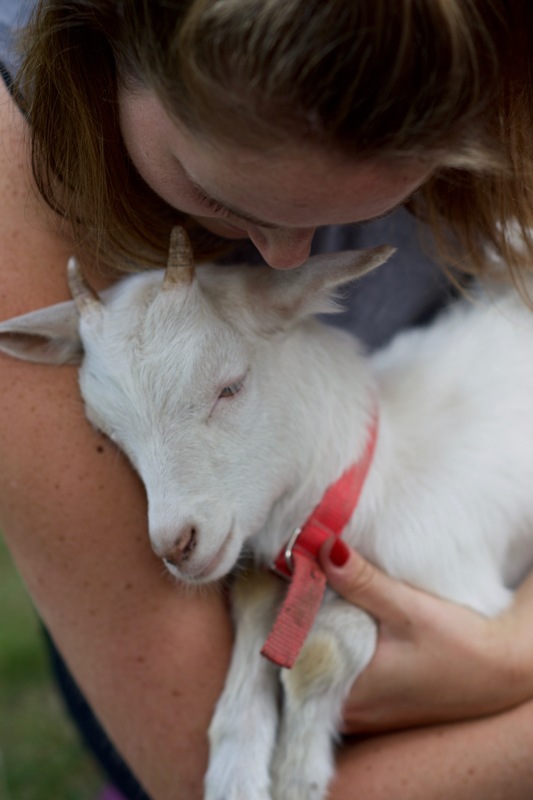 This is 1 hour session includes 45 mins of seated mat time to pet and snuggle with our baby fainting goat “kids” while you feed goat treats, ask questions, and learn more about the goats care, health, and life on the farm. Please be advised that our Goat Kids will still be jumping on YOU and they do have little horns to watch out for! HIKING WITH GOATS: These are special “pop-up” style events that involve walking with goats on leads through the beautiful woods, out to the other goats and meet & greet with the sheep, lambs, and llama along the way. You’ll enjoy some springtime on the farm and learn more about the animals and what we do with them. 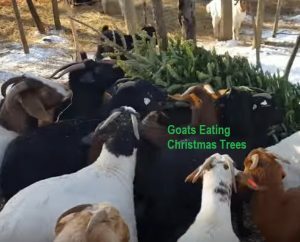 This is a very interactive, hands on event and the route will be a little over a mile, speed set by the goats of course. 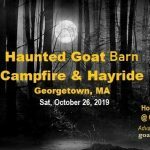 HAUNTED GOAT BARN: a Spook-tastic one night only event, on the Farm. Upon arrival be greeted by the haunted staff who will get you checked-in. Enjoy our beautiful barn and entrance area with the graveyard and jack o’ lanterns, plus the haunted tales and creepers. You will be entranced by our haunted tales, as you interact with the goats and feed them treats. 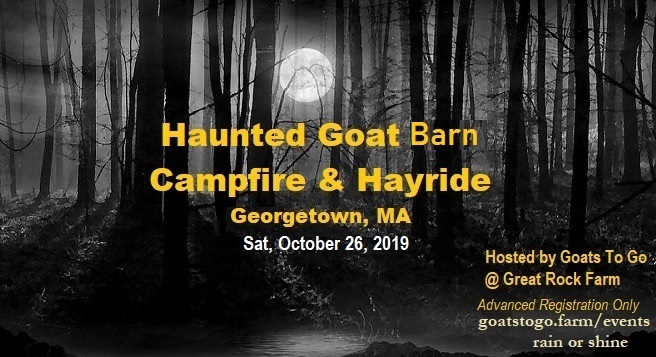 The goats will also be dressed in costumes and glow sticks and the whole upper barn will be haunted. We will have a campfire with hot cider and donuts, followed by a tractor-drawn hayride back to your cars. You will meet our other farm animals in the lower barn, the llama, sheep, more goats in the barn. BRING TO CLASS: Please be sure to bring bug spray, sunblock, a towel or yoga mat, along with a water bottle for class. We are on rain or shine for yoga and snuggle classes. Classes are held in a grass setting or in the barn on hardwood flooring during inclement weather. Plan to arrive 10/15 minutes prior to start time but no earlier than 30 mins before your start time. Unless otherwise noted, any food/drinks will be provided during check-in only (30 mins before the class is set to begin). T-shirts, Tank-tops, hats, mugs, magnets, etc are available for purchase (Cash/Check only) during the events or by ordering online. TASTINGS: During some of our classes we like to add tastings from local businesses. Some items we tend to offer tastings for include: cheese & crackers with local goat cheese, lemonade/juices, apple cider, cupcakes, beer/wine/hard cider, olive oil with bread, mimosas, muffins, donuts, and more. Check the specific events for more details. CHARITY EVENTS: We do what we can to support local charities and non-profits. During our Charity events proceeds goes directly to support this amazing cause. During the event $2 of each T-shirt or Tanktop sold will also go to the charity. Additional cash/check donations can be made during the event or on the charity’s website. CANCELLATION POLICY: No refunds are available. Since classes sell out in advance, we have a strict cancellation policy. Tickets can be transferred to another class or person if request is made 48 hrs prior to the start of the class. Transfers to another class or person must be made via email notification and you must indicate the name of the person or the date you would like to reschedule for. Transfers to another class must be made within 1 week and only on classes with openings available at the time of your rescheduling. 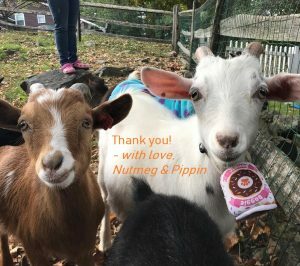 GIFT CERTIFICATES: We are offering e-gift certificates for our Goat Yoga and Goat Snuggle classes, delivered directly to your email.